Lobi Stars of Makurdi went ahead to get the first win in the Nigeria Professional Football League (NPFL) fixtures for Matchday 25. The Pride of Benue left it late, in the 86th minute, to get past Rivers United one nil. Nanen Imenger got the goal for the Makurdi based club and that victory takes them to 3rd on the log while other games go down this evening. Dogo’s lads have made the Lafia Township Stadium a fortress in recent times, but they will definitely not have it easy to tear the Peoples’ Elephant apart. 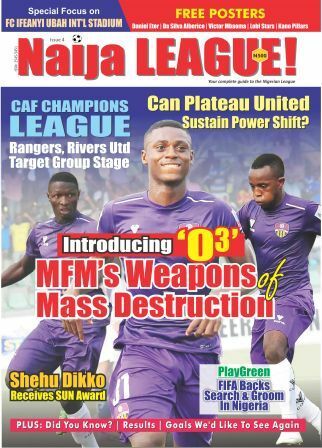 The reverse fixtures of Kano Pillars v MFM FC, in Lagos, ended in the Church Boys’ favour – 1-0. Today’s event will be quite difficult for them to do a double over Masu Gida. With the current form of the homers after the resumption of the second stanza, one would guarantee Pillars victory. But football being what it is coupled with the youthfulness of MFM FC, Kano Pillars will find it tough to secure maximum points. FC Ifeanyi Ubah faces a tricky tie in Nnewi against Wikki Tourists of Bauchi. The later has been on resurgence after a slow start to the season, gaining some notches to bounce out of relegation zone. 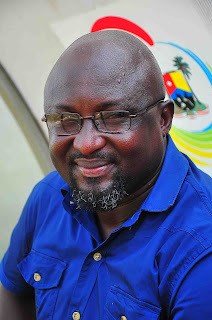 They will be tough opponents for FC Ifeanyi Ubah who also have last term’s top scorer Godwin Obaje who left Bauchi to find solace in the camp of the Anambra Warriors. Two relegation strugglers, Sunshine Stars and Gombe United will clash in Ijebu Ode, where Sunshine Stars have been banished. Sunshine’s poor run is evident, but trust them to carry the day over Manu Garba’s Gombe United. Shooting Stars entertain ABS, El-Kanemi Warriors play host to Remo Stars while Rangers are in Lojoka to lace against Niger Tornadoes. In-form Akwa United will welcome Katsina United at the Nest of Champions where they have been finding it easy to pick maximum points. The game in Umahia will be the talk of the town considering one major reason: the circumstances surrounding the resignation of Kennedy Boboye. Before he left for Plateau United, Boboye had, last term, led Abia Warriors to a ten-match unbeaten streak; a feat that was short-lived before the Umahia side began battling relegation. Following the poor run, Boboye parted ways with Abia Warriors and is currently the gaffer of table toppers, Plateau United. It is no doubt that some sort of rivalry still exists between the gaffer and the hierarchy of his former employers and this will be transposed to the pitch, obviously. Abia Warriors drew their last home game against relegation threatened Remo Stars and went on to loss to archrivals Eyimba. The Abdulahi Biffo led side will play for victory in order to keep their hope for gaining a continental place alive. There will also be a need to put Boboye to shame by grabbing maximum points. In all, Boboye’s sole aim will be to extend the lead and give the Jos fans a hope of lifting their first NPLF title.